Connolly, Sheila. Murder at the Mansion. (Victorian Village Mystery; 1) New York: Minotaur Books, 2018. 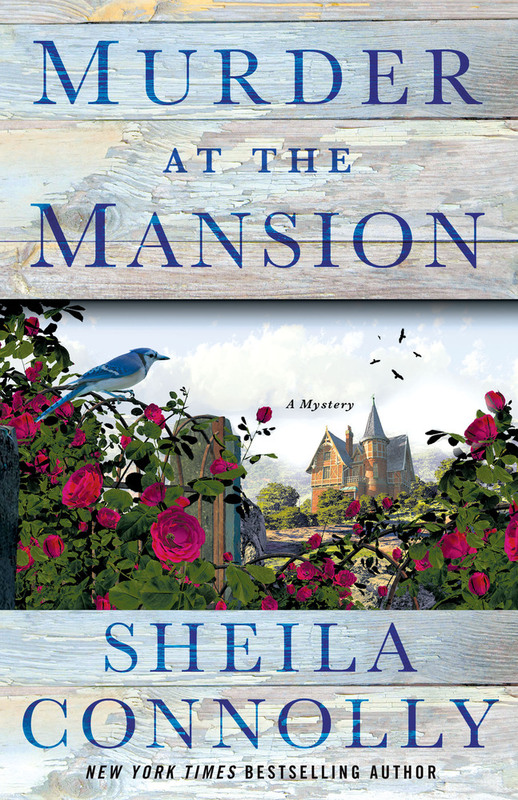 This promising start to a new "Victorian Village" series by Sheila Connolly features Kate who returns to Asheboro after the hotel for which she works sells to new ownership who release Kate and her boss from their positions with nice severance packages. Kate's mission to see how the town can make a turnaround may be impossible, but the key lies in an old mansion now owned by the town. Its previous owner Henry Barton left a generous trust fund to maintain the property. Kate's nemesis, a councilwoman, was murdered. Kate finds herself assisting in the investigation as she examines some important letters she becomes certain the woman found. I loved the mystery but guessed the murderer's identity fairly early. A lot of questions remain unanswered for the readers, indicating the author intends to reveal more solutions to those questions in future installments. While genealogical research was done, the author included few details. Hopefully more will unfold as the series progresses. The series shows promise and should provide mystery-loving genealogists with a few hours pleasure as each book is published. I received an advance electronic copy from the publisher through NetGalley in exchange for an honest review. Powell, E. M. The King's Justice. Seattle: Thomas & Mercer, 2018. 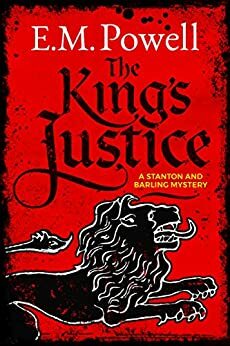 When the manorial Lord comes to seek permission of the king's justices to execute a man charged with murdering the town's blacksmith, the justice's clerk Aelred Barling along with Hugo Stanton, a messenger in the king's service, to make inquiries and serve justice. Stanton does not believe the accused committed the crime, but he's not the one there to give the verdict. Another man is murdered the night the accused escapes from the "gaol." The body count and attempted murder count climbs as the story progresses and the search for the missing man continues. This was a nicely plotted mystery that held my interest. The guilty party was not immediately obvious although one might suspect the person among several others. The writing is not as strong or tight as it could be. I will probably seek future installments of this medieval mystery series. This review is based on an advance e-galley received from the publisher through NetGalley with the expectation of an honest review in exchange. Gates, Eva. The Spook in the Stacks. New York: Crooked Lane Books, 2018. Once again Lucy, the staff, and patrons of the Lighthouse Library, located on North Carolina's Outer Banks, find themselves in the midst of a murder. The victim,a former area resident who planned to donate his collection of valuable historical documents to the library, dies at a library event, and Lucy finds him. Until the evening of the murder, his finalists list for the collection also included Blackmore College's history department. His granddaughter and curator accompanied him to the Outer Banks, immediately becoming suspects. Lucy's boyfriend Connor seeks re-election as mayor, spending much of his time, campaigning. Butch, the detective, warns Lucy against detecting, but somehow the mystery seeks her out. Louise Jane enthralls guests with her haunting stories of local ghosts while Lucy spots her first one and some inexplicable happenings with a model ship on loan from Louise Jane. Although light and cozy, the book keeps the reader engaged. Some portions, particularly in the first few chapters, seemed a bit repetitious, providing details such as Lucy's living arrangements in more than one location. I received an advance electronic copy from the publisher via NetGalley with expectations of an honest review.